Lance Thoreson is our Vice-President of Operations. Lance is a Minnesota native who enlisted in the Army after high school and completed his training to become an Army Ranger. He has earned several commendations, including his Master Parachute Badge, Master Aviator Wings, and Air Assault Badge. Thoreson rose through the ranks becoming a squad leader in the 2nd Ranger Battalion, then a Recruiter and Assistant Station Commander, and finally serving as an OH-58 Helicopter Pilot and Chief Warrant Officer before leaving the service with an honorable discharge in 1996. Since 2001, Mr. Thoreson has worked to establish an excellent reputation for Dakota Air Parts. He is especially respected for his knowledge and his integrity with organizations that operate and support the UH-1 “Huey”, OH-58 “Kiowa”, and the T53 turbine engine. 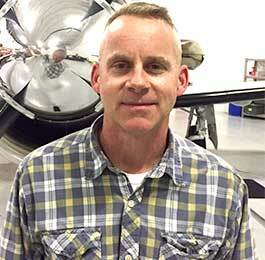 Mr. Thoreson has helped build Dakota Air Parts clientele and relationships in many markets. His connections include operators and vendors in: military, parapublic (especially law enforcement), restricted, and experimental markets. Mr. Thoreson is an integral part of the management team. His experience and reputation help to drive growth opportunities for the company. He has a reputation expertise in military helicopters and their use within a variety of markets including: military operators, parapublic operators (including many law enforcement agencies), restricted operators, and experimental operators.